Home / غير مصنف / Brexit update: When is Brexit happening? What is happening with Brexit NOW? Brexit update: When is Brexit happening? What is happening with Brexit NOW? In just 50 days, the two-year time limit on negotiations under Article 50 will expire. 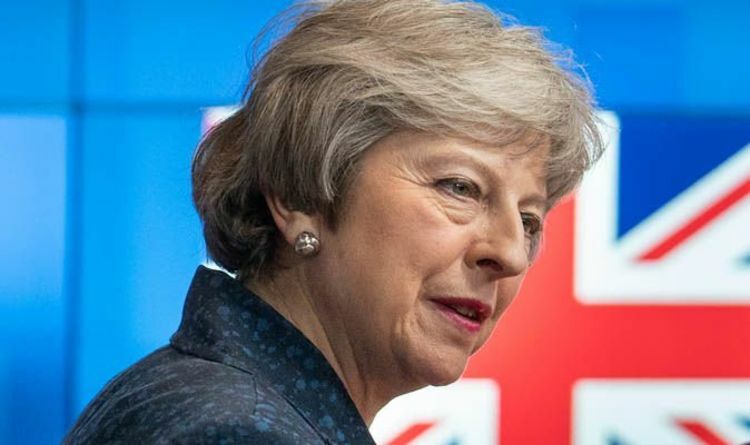 In January, MPs rejected the withdrawal deal negotiated with the EU after two gruelling years for Prime Minister Theresa May, forcing her back to Brussels to try get some concessions. The key issue was, and remains, the ‘backstop’ - the insurance policy to ensure no hard border between Northern Ireland and the Republic. After the deal was rejected, Theresa May ploughed on, despite many in her own party trying to oust her. Now she has just 50 days left to try resolve the issue and get a deal voted through the House of Commons. However, the EU has said this is the only deal, and reopening it isn’t an option. And MPs have said they will not vote for Mrs May’s deal unless there are substantial and legally binding changes to the backstop. READ MORE: What could a no-deal Brexit really mean for you and me? Theresa May promised EU leaders on Thursday that she would be able to get a deal through Commons. But there’s a catch: they need to give her legally binding changes to it. European Commission President Jean-Claude Juncker again ruled out the kind of changes Mrs May wants to see. But the two sides agreed to further talks in an attempt to break the deadlock. On Wednesday, EU Council President Donald Tusk said there was a “special place in hell” for those who promised Brexit without a plan to deliver it safely. Mrs May said she had spoken to Mr Tusk about the comments, and that the language was not helpful” and had "caused widespread dismay in the United Kingdom”. Mrs May said she had told him he should be "focusing" on working with the UK to get a Brexit deal. Mr Tusk tweeted that there was "no breakthrough in sight" following his talks with the Prime Minister. The Brexit deal - a 599-page document outlining the withdrawal plans - has a smaller brother, in the form of a 26-page document vaguely outline the “framework for the future relationship” between the EU and UK. While the EU have repeated time and again that the main document is now closed and will not be reopened, there seem to be some indications that the second might be open to amendment. On Thursday, Mrs May said she had "set out very clearly the position from Parliament that we must have legally binding changes to the withdrawal agreement in order to deal with Parliament's concerns over the backstop". She added: "What I see and hear from leaders is a desire for us to work together for us to ensure that we can deliver the UK leaving the EU with a deal." Mr Juncker "underlined that the EU27 will not reopen the withdrawal agreement" in their talks, according to a joint statement released by the two sides. But he "expressed his openness" to adding words to the non-binding future relationship document - that also has to be backed by MPs - to be "more ambitious in terms of content and speed". The Prime Minister is expected to put the deal to a vote in the Commons again towards the end of February - if it falls again, all bets are off.